MX Player series Hey Prabhu starring Achint Kaur And Parul Gulati has been making rounds for the bold and adult topics addressed in the web series. The talented and creatively yearning actresses have always experimented with characters essayed across all entertainment mediums. Whether it was television, web series or even films, the leading stars have left their mark in some way. 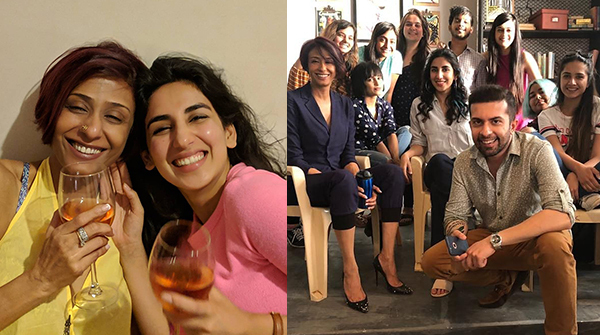 Parul Gulati seen in ALTBalaji’s Haq Se was shown fearless, bold and aspiring young female. Achint Kaur has too was last seen on television with Jamai Raja and Punjabi film Zorawar. Coincidentally both Parul and Achint were seen in Zorawar co-starring Yo Yo Honey Singh. This definitely sheds light into their amazing, friendly and lovely bond. Have a look at Hey Prabhu’s leading divas sharing warm hugs!